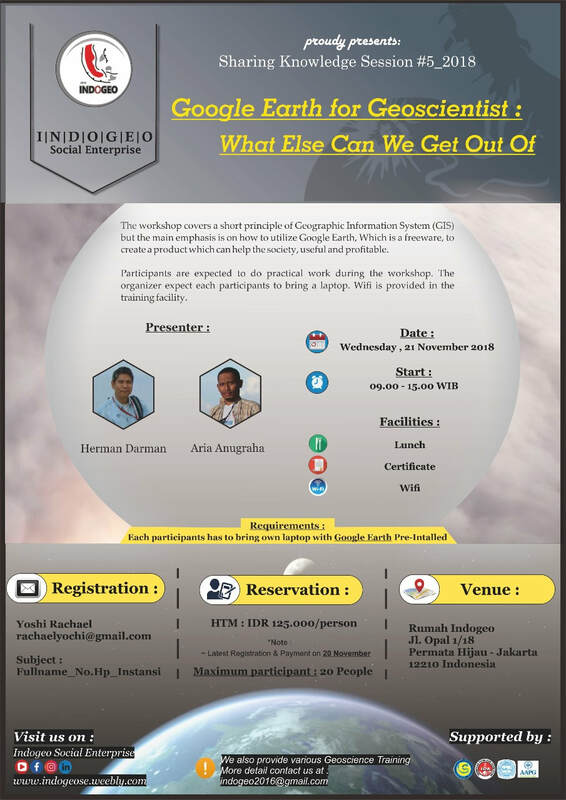 Indogeo Social Enterprise will be holding another series of #Sharing Session in April. This time, a talk with the title " 4D Seismic and Its Implementation" will be held with both professionals and freshgrads as the evpected participants. Contact us and don't miss the seat! Announcing #indogeose will be holding our second #sharingsession in March with the title " An Overview of Basin Modelling & How to Prepare yourself to Study Abroad" with Ms. Khalda Az Zahra @khaldaaz as the speaker. Announcing #indogeose will holding our first sharing session in February with the title " Photography Class" with Mr. Tigor Lubis as out speaker. 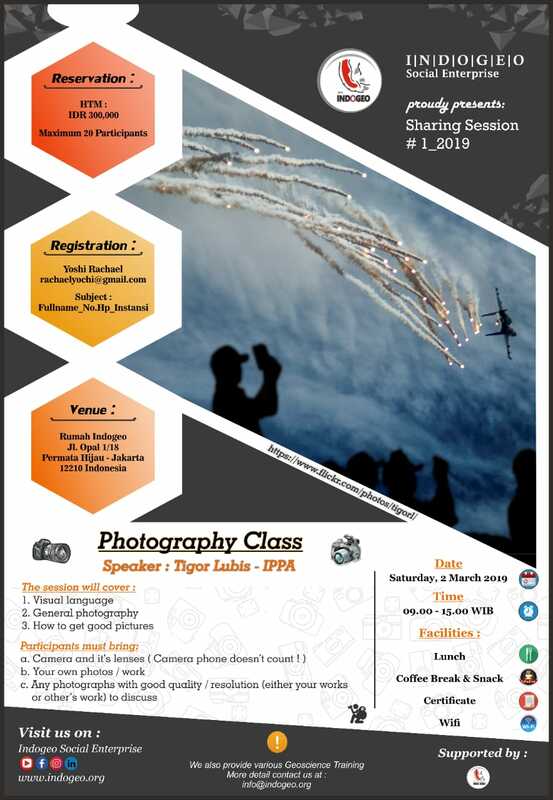 This event is addressed to everyone who has enthusiasm about photography, geology or non geology, everyone can join!! . 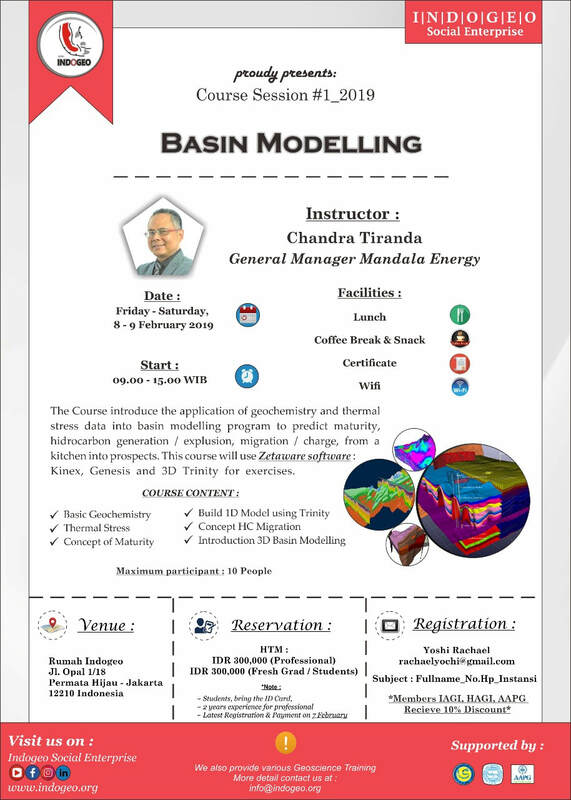 Announcing #indogeose will holding our first course in February with the title " Basin Modelling" with Mr. Chandra Tiranda as out speaker. 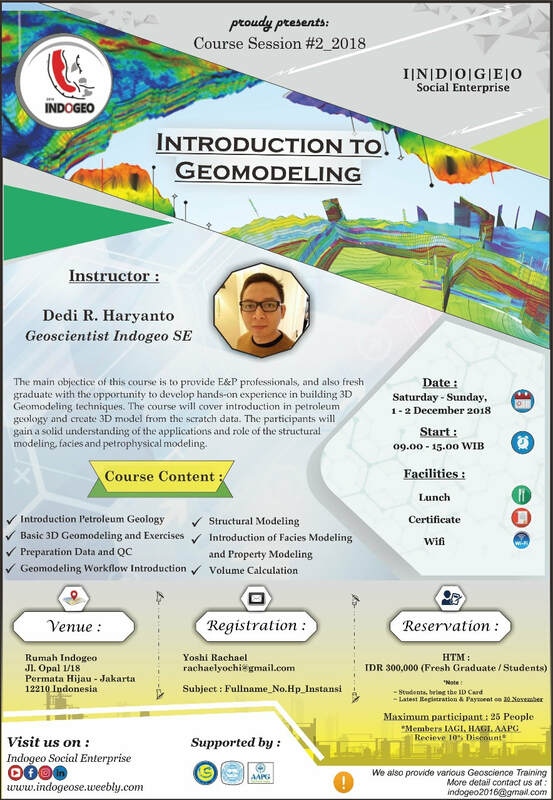 As we always pursuing innovative application in geoscience for geoscientist community, now we are holding another sharing session with GIS theme at the end of this year. This session is about how to utilize Google Earth in geoscience world and for economic purpose at the same time. Now, isn't that interesting? Grab your seat fast as there are only 20 seats available for this session! This course is include: lunch, certificate, and full wifi access during session. We have such a very interesting event in mid August related to Petrophysical Analysis! 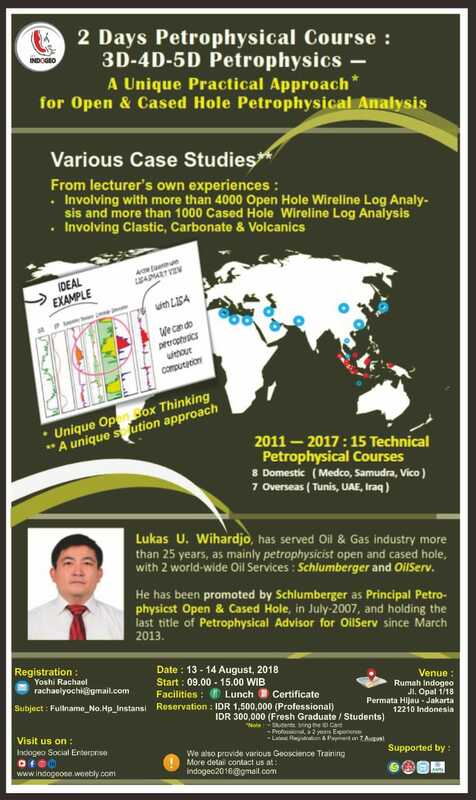 With 25 years plus of experience in petrophysic world, Mr. Lukas U. Wihardjo will give you interesting and mind-breaking tips such as doing analysis without computation. If this rises the interest in you, quickly grab a seat and we'll see you there in the course! We are back again! 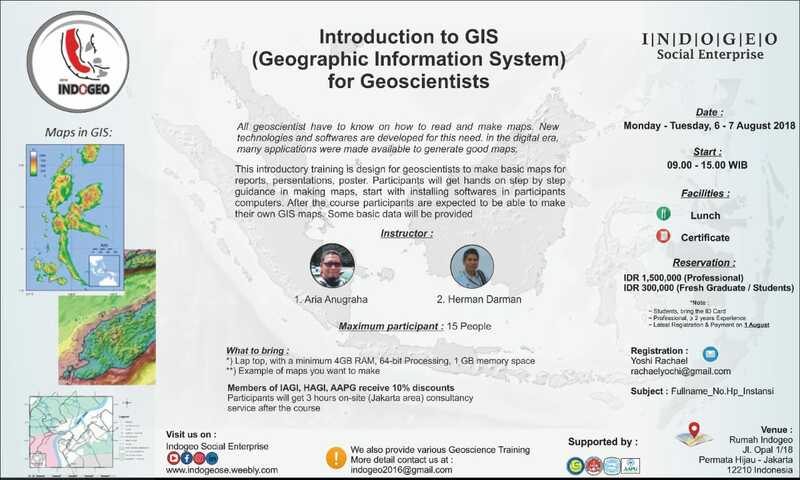 Indogeo now invites you all who have interest in the world of Geographic Information System as we are going to hold a two days training of "Introduction to GIS for Geoscientist". 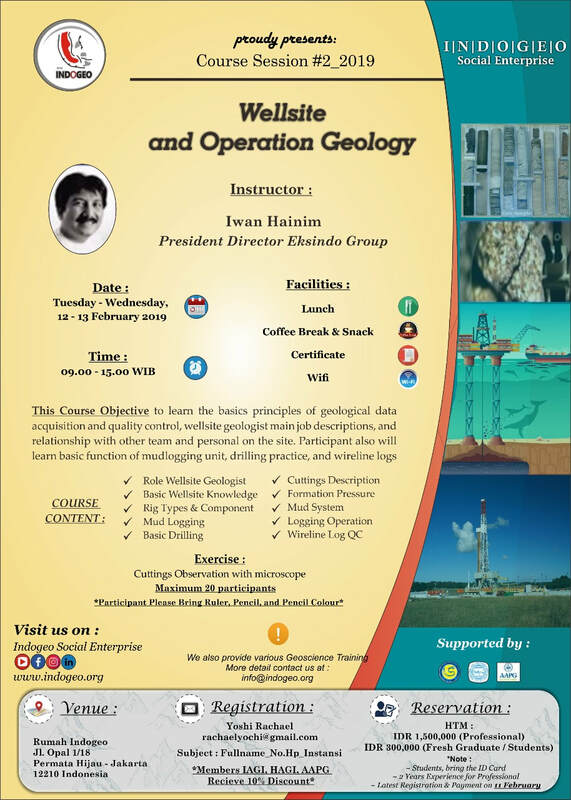 This event welcomes either professionals geoscientists and geoscience fresh graduates. Come and grab the seat fast! Another interesting event set by the end of this month! 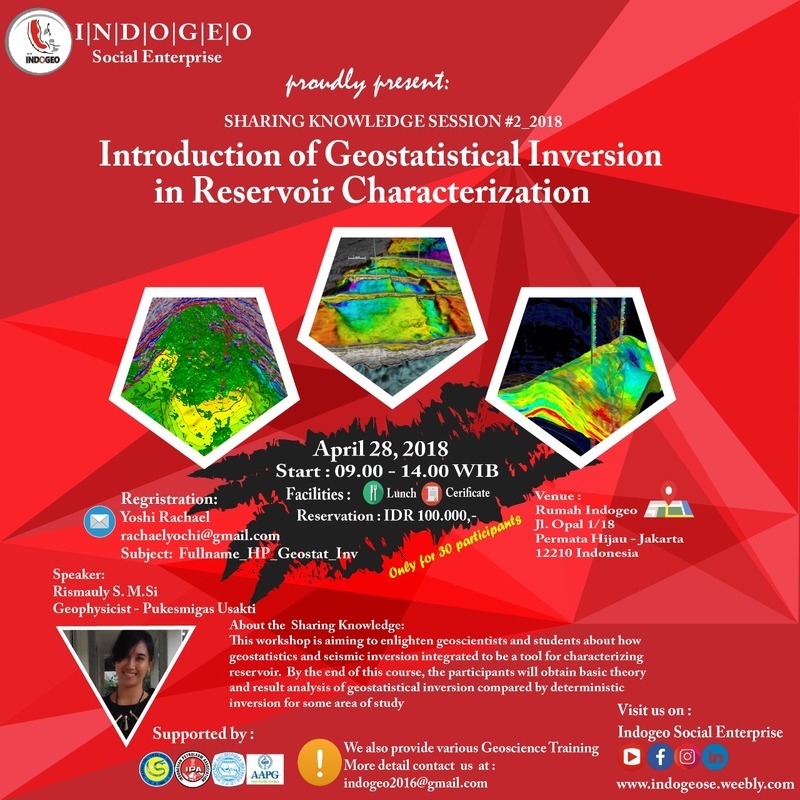 : " Introduction of Geostatistical Inversion in Reservoir Characterization" with Ms. Rismauly S. M.Si. of Pukesmigas Usakti as our speaker and contributor. This events welcomes both professionals and graduates. Be the first participant to sign up! This includes: Certificate and lunch. ​Save the date, register to participate, and see you on the venue!